Over the past few weeks we’ve seen a lot of leaks and rumors regarding BlackBerry’s second Android-running smartphone. At various points this was referred to as Hamburg, Neon, or DTEK50, with an official press render leaking mere hours ago. And now we know that, out of those three, BlackBerry chose DTEK50 to be the phone’s official name. As rumored, the BlackBerry DTEK50 is just a rebranded alcatel Idol 4, a mid-range Android device that got announced at the beginning of this year. 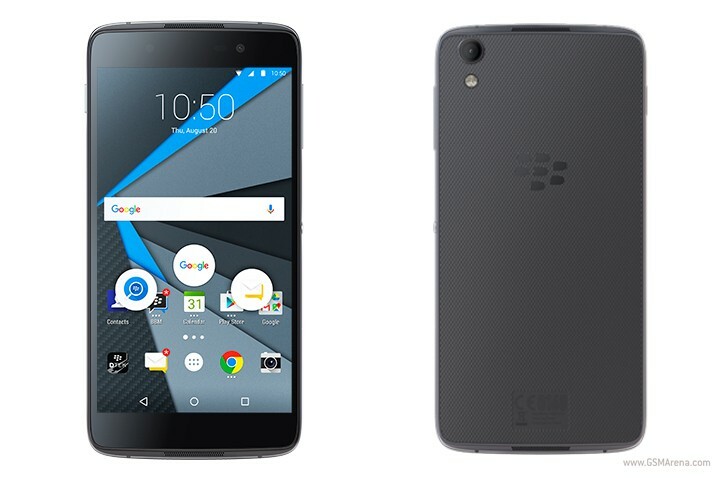 The difference, obviously, is that the DTEK50 runs BlackBerry’s interpretation of Android, and not alcatel’s. It comes with the BlackBerry Hub preinstalled, as well as the BlackBerry keyboard, while DTEK (the software) monitors your overall security rating and has suggestions for improving it. DTEK tracks your apps and notifies you when someone is taking pictures or videos without your knowledge, or accessing your contacts or location. The same goes for when your microphone is turned on and when an SMS is sent. The phone also features a programmable BlackBerry Convenience Key, pop-up widgets, BlackBerry Device Search, Instant Actions, and Gesture Controls as part of the Canadian company’s software enhancements to Android. The DTEK50 is “the world’s most secure Android smartphone” according to BlackBerry – but if you believe that then you also see how ironic it is that the much more expensive Priv is apparently less secure. As for specs, if you know those of the alcatel Idol 4, then you know the BlackBerry DTEK50’s too. The two handsets are identical. So BlackBerry’s newest offering comes with a 5.2-inch 1080p touchscreen, a 13 MP rear camera with phase detection autofocus and LED flash, an 8 MP selfie shooter, Qualcomm’s Snapdragon 617 SoC, 3GB of RAM, 16GB of expandable storage, and a 2,610 mAh battery. It runs Android 6.0 Marshmallow. It’s already up for pre-order from BlackBerry’s own website in the US, Canada, UK, France, Germany, Spain, Italy, and the Netherlands. It’s priced at $299, €339, CAD 429, and £275, respectively. It will become available during the week of August 8.